It’s 5:34 a.m. on a Thursday morning. MAX Orange Line train #64 announces its arrival at the SE Bybee Blvd MAX Station, first with the glow of lights shining through the pre-dawn darkness, then with a couple rings of its bell. The train slows to a stop, the doors open, and riders step on and off. A recorded voice gently warns those onboard that the doors are closing, and the train is departing. 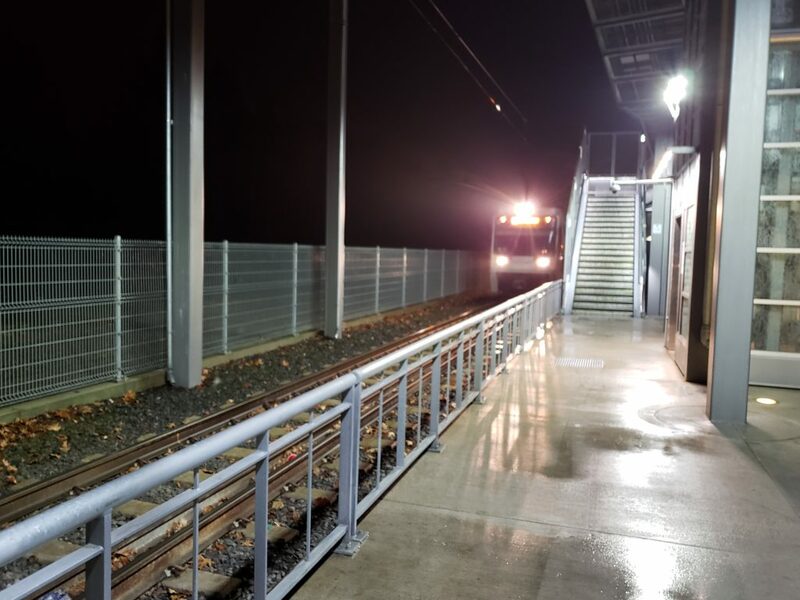 As quickly as it arrived, the train melts back into the darkness, faithfully resuming its journey north towards Downtown Portland. 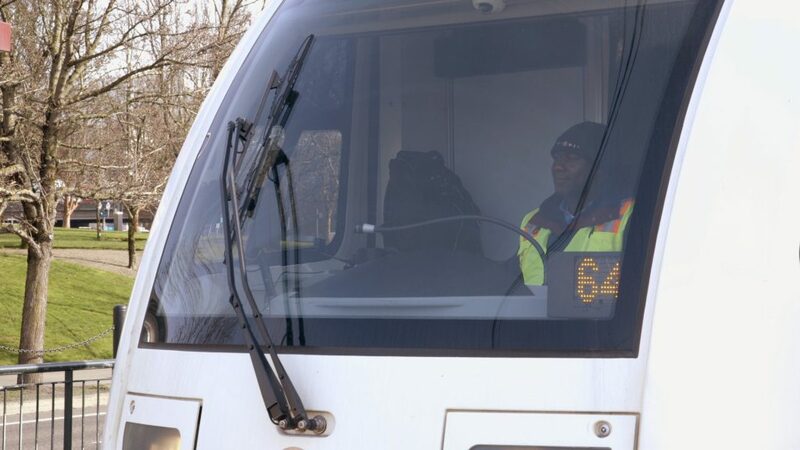 Out of sight to riders, but ever-present with hands firmly on the controls of train #64 and eyes constantly scanning what lies ahead, is MAX operator Jeff Flanagan. Jeff has been operating MAX trains for more than four years. 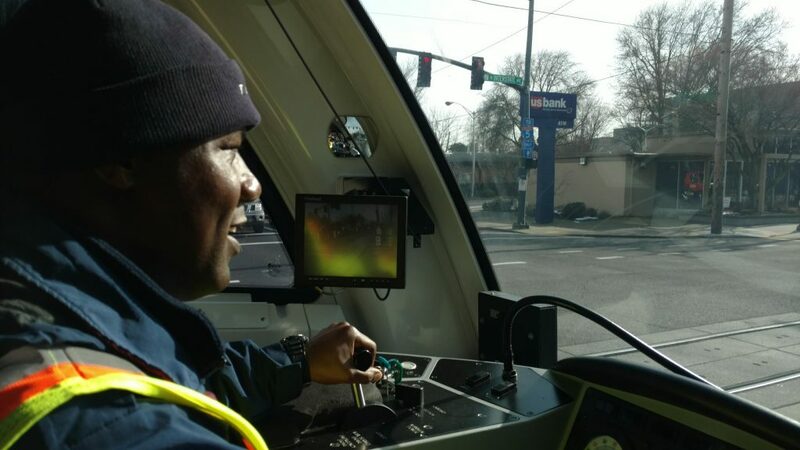 As all MAX operators must do, he started his career with TriMet behind the wheel of a bus. TriMet currently hires about 20 bus operators every three weeks. Over time (about a year), bus operators have the opportunity to move into other positions based on performance and seniority. Now a MAX operator, Jeff takes great pride in his specialized job, one that almost always draws a positive reaction when people learn about it. “They say, oh that’s cool! You drive a MAX train? That’s something I’ve always wanted to do,” said Jeff. Being able to serve the community is number one on the long list of things that make Jeff grateful to be a MAX operator. He also enjoys being out with the public and the changing scenery his rolling office provides him every day. Jeff is one of around 200 skilled people that currently operate our MAX trains. All of them completed an 11-week course consisting of both class time and hands-on training. They learn railroad fundamentals, terminology, signal systems, rules, and troubleshooting with daily quizzes and weekly tests. Unlike boarding a TriMet bus where riders come face-to-face with the operator, MAX riders rarely meet the person at the controls of the train. Train operators are required to shut and lock their cab doors, for their protection, the protection of those on board and the safety of the public. Inside his train cab, Jeff may be isolated, but he’s rarely alone. At full capacity, one MAX train with two cars can carry more than 300 people. That’s a great responsibility that he takes seriously. 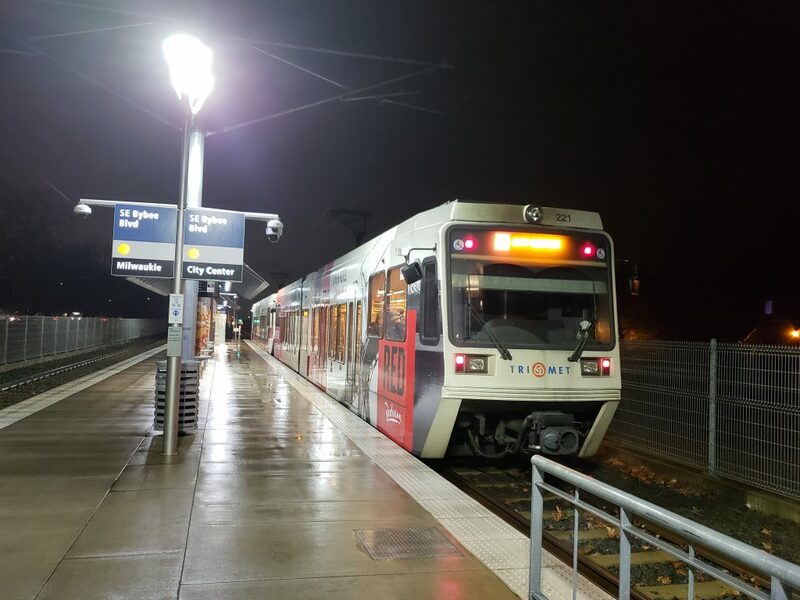 MAX operators must always be alert and on the lookout for unsafe behavior around their trains – pedestrians and bicyclists that dash in front of them, cars making illegal turns or ignoring traffic signals, and people walking near the tracks while distracted. While riders may not come face-to-face with Jeff, they can rest assured when he’s at the controls. Just look to the cab as the MAX is pulling into the station. If you see an infectious double-dimpled grin, chances are it’s Jeffrey. TriMet provides more than 97 million trips a year. It takes a lot of buses and trains to do that, and even more operators like Jeff to keep them rolling. That’s why we’re hiring people to join our team, as we safely connect people with their community, help ease traffic congestion, and reduce air pollution. Becoming an operator offers the opportunity to earning a living wage with excellent benefits. After about three years, full-time operators can make more than $60,000 per year. 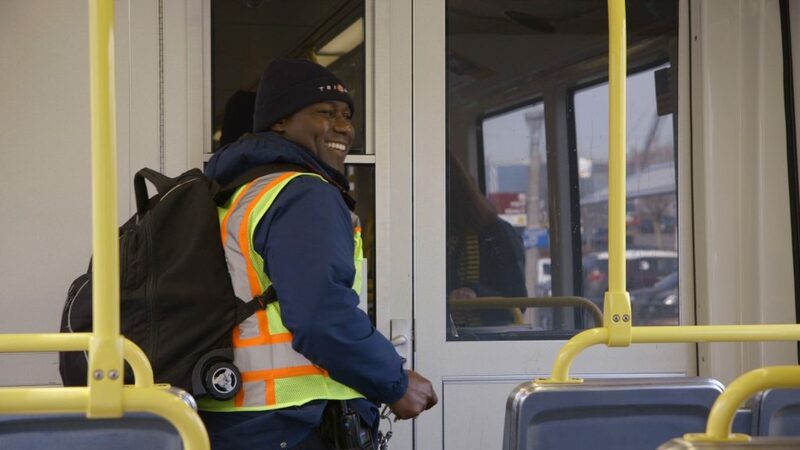 Put yourself in the driver’s seat, and join the TriMet team!